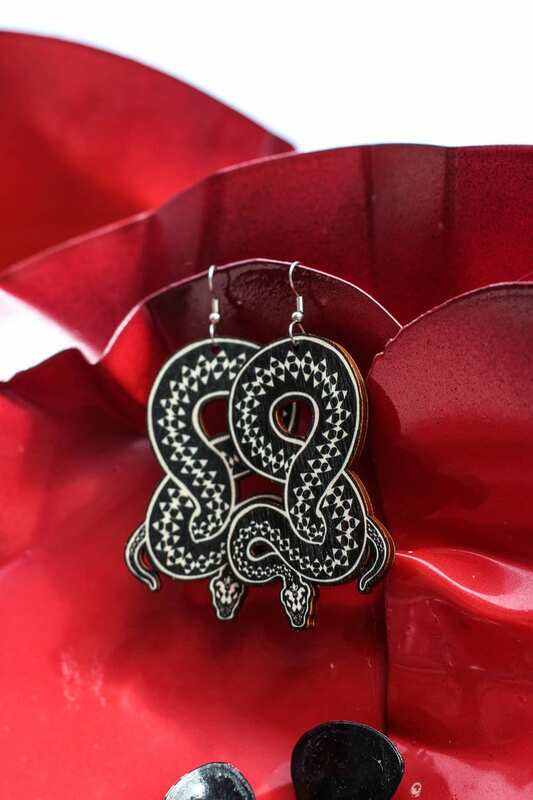 Black Adder- earring er perfekt valg hvis du er til statement øreringe de er store men vejer næsten ingenting da de er lavet i let birketræ som er designet,produceret og håndmalet i Finland. Adder- earrings are a great choice for anyone who likes statement earrings. They are bold in size but due to the material used they are light in weight and really comfortable in use. The colouring is a mixture of the Birch wood and hand painted details that are stacked in a fan like shape that gorgeously frames the face. 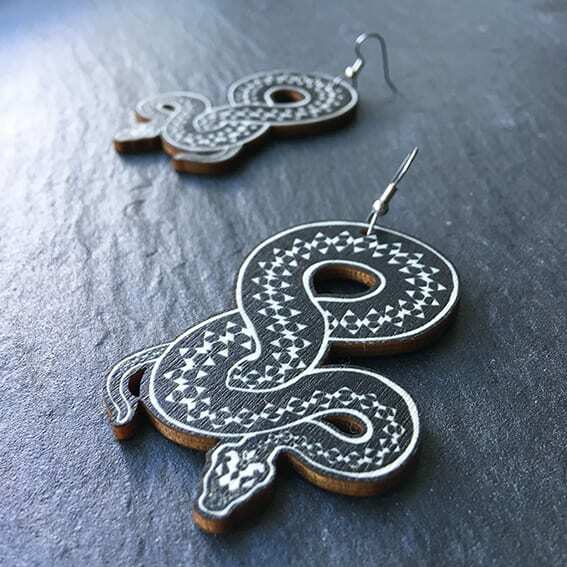 Adder- earrings are made from Finnish birch plywood. The material is laser cut in Kallio district in Helsinki and assembly and hand painting happens in our studio in Downtown Helsinki. Earring post and nuts are made of titanium, the nut is made of surgical steel and has also a PVC flange. 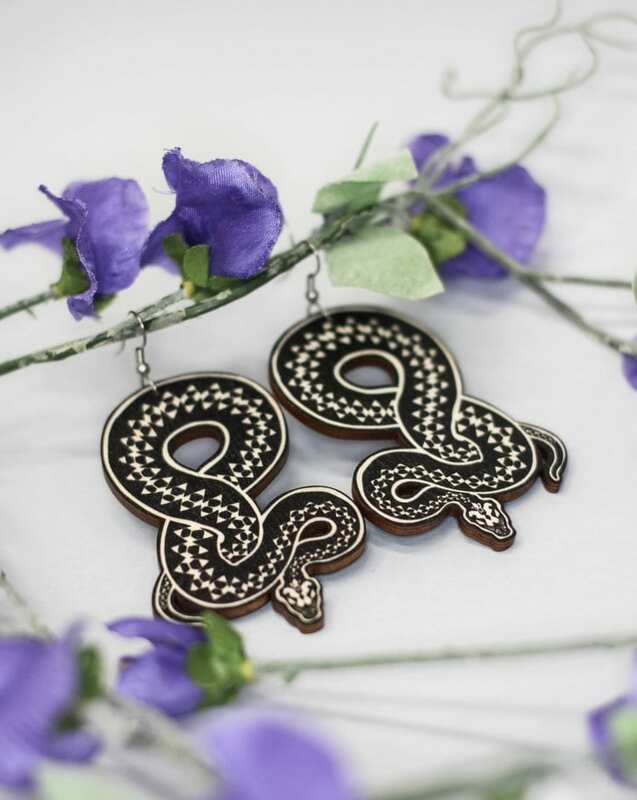 The earrings are delivered in a stylish matte black cardboard box. Avoid spraying perfyme or hairspray directly to your earrings, it might cause discolouration or surface damage. Store you jewellery away from direct sunlight, preferably in their delivery box.